I love holo polishes. That's not a secret. So I am excited to be able to share the March 2014 Holo Grail subscription box. The Holo Grail box is a monthly box from Dazzled. Four holographic Indie polishes are in each box. Let's take a look at the March 2014 box. The swatches are taken in different lighting and angles. Pinkberry is a luscious holo pink by Aly's Dream Polish. I am not normally a pink fan. But this one is amazing. Lots of scattered holo and a depth that simply can't be captured by the camera. This soft pink is sure to be an eye catcher. This is two coats with a top coat. 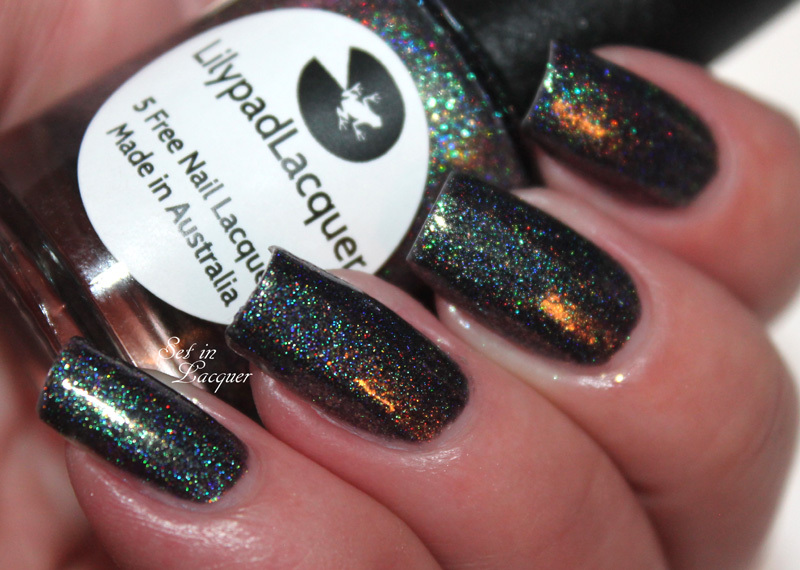 Want you is a deep sapphire blue with lots of holo and holographic glitter that adds even more attitude. 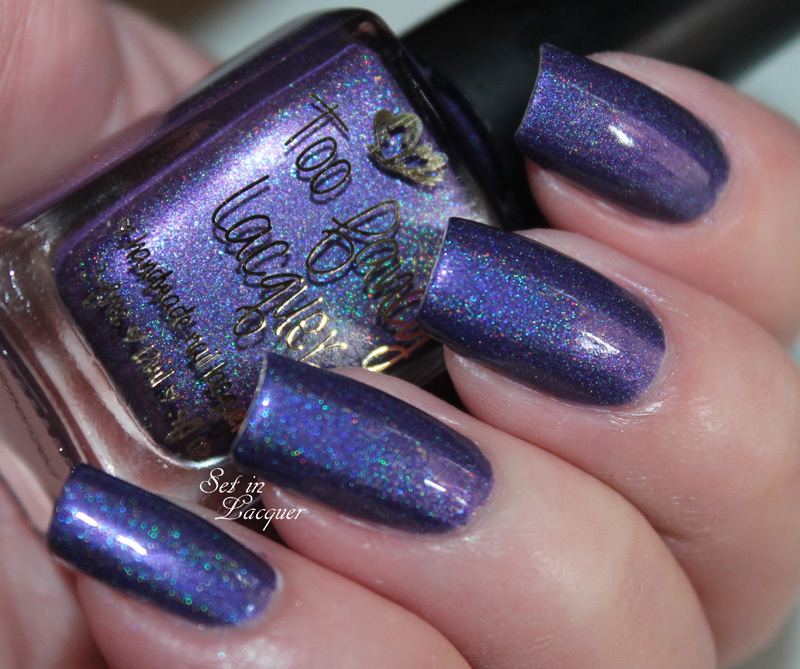 This polish from Foxy Paws is gorgeous! This is two coats with a top coat. Application was a breeze. Nature's Gift is a hard one to describe. Depending on the light, it is bronze, purple, green, blue, or black. It's completely mind blowing. 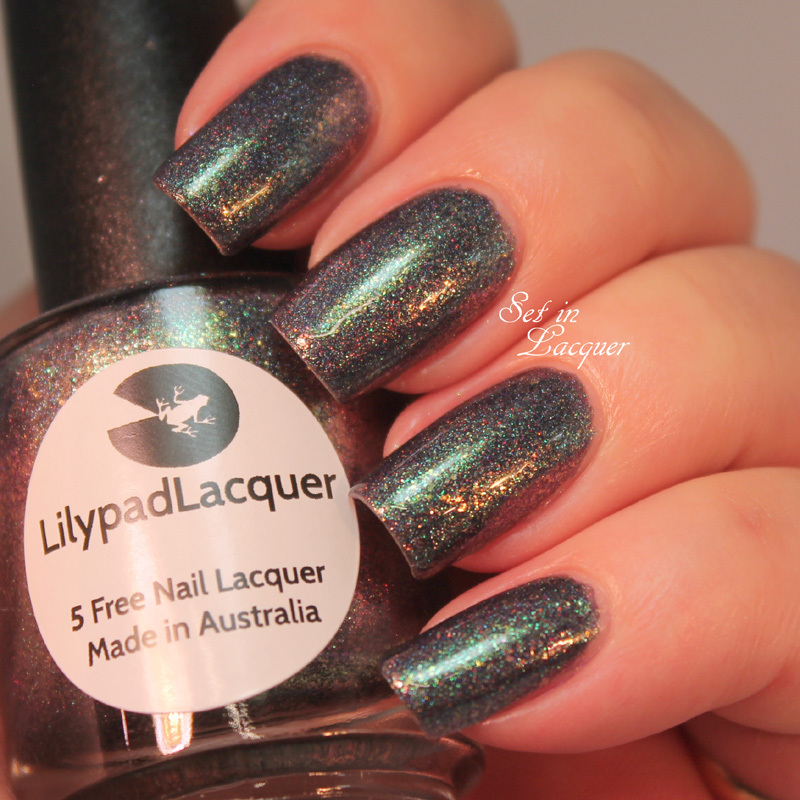 This polish is made by Lilypad Lacquer. This is two coats with a top coat. 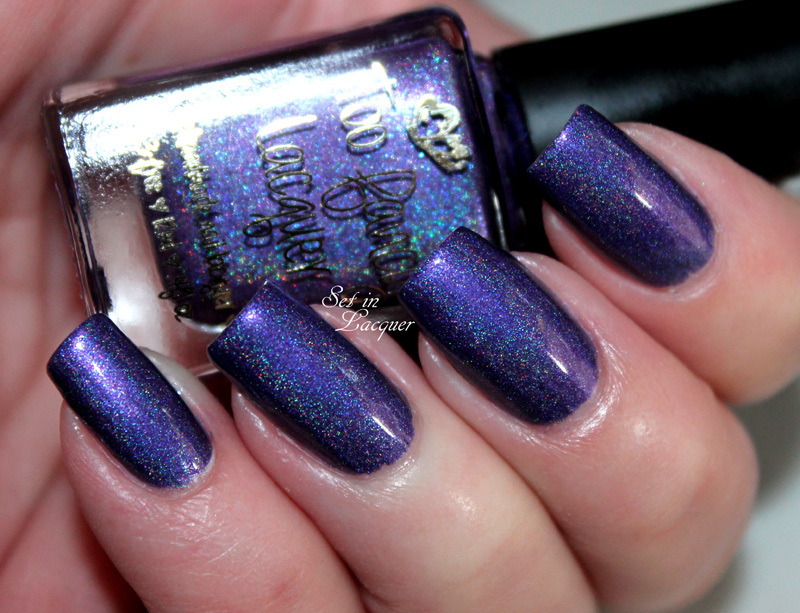 Mesmerized is a stunning deep purple holographic polish from Too Fancy Lacquer. The holographic sheen is simply, well, mesmerizing! This is two coats with a top coat. This monthly box is something, as a holo lover, I am going to have to add to my list. Limited edition, holographic polishes that can only be obtained by buying the box. Dazzled is now taking pre-orders for the May box. The polishes will be from Too Fancy Lacquer, Literary Lacquers, Aly's Dream Polish and Cupcake Polish. They can be purchased for $59.95 on the Dazzled Website until April 15. To get current news on the Holo Grail box and more amazing polishes, make sure to follow Dazzled on their Facebook page and Instagram page. These polishes were provided to me for an honest review. All opinions are my own. Please note that computers, and mobile devices may show colors differently.